[box]Singer-songwriter-mentor-performer-mother-philanthropist-healer: meet my beautiful friend, rock icon Robin Lane. Like many aspiring female rockers, I sat glued to MTV ( when it was actually about music) waiting for my favorite videos. One of theses was by Robin Lane & The Chartbusters—their big song, “When Things Go Wrong.” Years later Robin still writes, sings, and performs. She also dedicates much of her time to supporting people when things go wrong in their lives. Her nonprofit organization, Songbird Sings, uses songwriting and music to mentor people who have been through difficult experiences, such as sexual abuse, domestic violence, and human trafficking. “When Things Go Wrong,” the new film about Robin Lane, includes all the elements you expect to find in the story of a rock musician’s life. A shot at stardom with a major label record deal? Check. The band’s breakup and the hard times that inevitably follow? Double check. 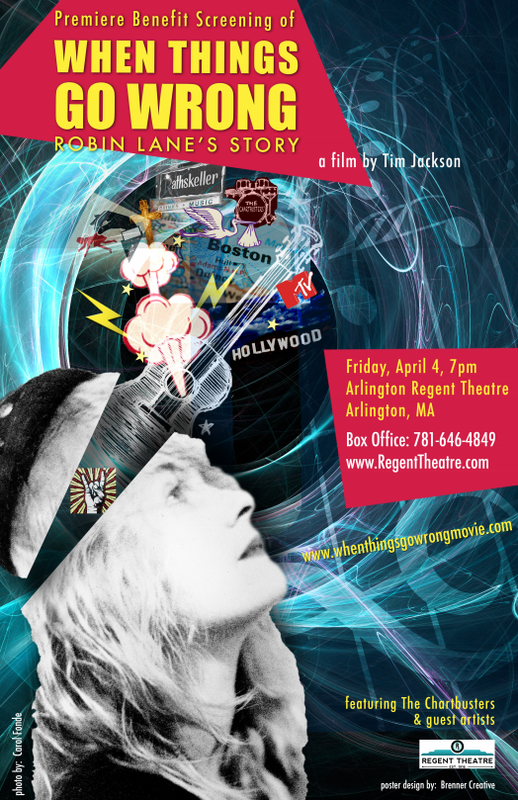 It’s all there in “When Things Go Wrong,” a new film which will be seen for the first time on Friday, April 4 at 7 p.m. at the Regent Theater in Arlington, MA, a premiere benefit screening that will include a live performance by Lane and her former band, the Chartbusters. But—spoiler alert—the movie does not end with either the rehab stint or triumphant comeback found in your typical “Behind the Music”-style rock doc. 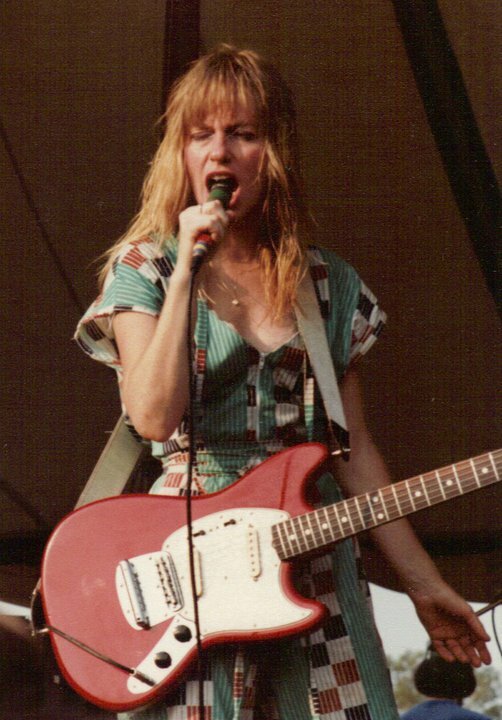 These days Lane, the queen of the Boston new wave scene circa 1980, has found a new venue for her voice and guitar: leading songwriting workshops as a way to help victims of sexual and domestic abuse, at-risk teenagers, prison inmates, and the elderly. While what Lane does in her workshops is a form of music therapy, she is quick to point out that she is neither a therapist nor a counselor. It’s not a job she consciously pursued, at least not at first, but it’s one that Lane has found herself eminently well-qualified for. Music, after all, had always been her own lifeline. Lane’s life story has more than its share of mental and physical hurt. Distant parents. Sexual assault. Domestic violence. Divorce. And a tantalizingly close, ultimately frustrating brush with stardom. When the first two Robin Lane and the Chartbusters albums failed to sell as much as expected, the band was tossed aside by their label, Warner Brothers. And after Lane gave birth to a daughter, Evangeline, she found she was no longer considered a serious contender in the male chauvinist rock world of the 1980s. And almost without realizing it, she was embarking on a new career as a songwriting mentor. “I didn’t really know that these women had had traumas in their lives. I kind of did, but I didn’t even know that you called it trauma. I didn’t know much about anything except that I did have that kind of stuff in my own life from when I was growing up and then from other relationships. So I identified with these women. It turned out it was a center for women who needed to heal from domestic violence and childhood abuse, mental health issues, addictions. “I fell into it leading these songwriting workshops because I’m a songwriter and I happened to be with these people that wanted to learn how to write songs. They had all this trauma in their lives. The stories were so awful that I was amazed that these women were still functioning. But the songwriting really helped them. In fact it helped them a lot more than traditional therapy. They just started getting better and better. Lane established her program, A Woman’s Voice, in 2002. She also launched Giving Youth a Voice, a songwriting program for inner city kids and teens. Working with sexually exploited young women from Roxbury was a particular challenge. “I’m not a confident person,” Lane said. “But once I start doing things and I know that they work, then I get some confidence. At first I didn’t put it all together that these girls had been trafficked. I knew they had been through some heavy stuff, but they just looked like teenaged girls. When I started with them there were a lot of cold eyes. I got the looks. After honing her songwriting workshop skills for more than a decade, Lane is determined to expand the use of her methods through the non-profit she founded, Songbird Sings. Maybe, it is suggested, “When Things Go Wrong” will bring needed attention to the work Lane is doing. But “When Things Go Wrong” needs financial support too. Filmmaker Tim Jackson—Lane’s longtime friend and, not coincidentally, the Chartbusters’ drummer—started the project in 2007 and is still short of funding. Hence the benefit premiere in Arlington. Sad to say, like too many other musicians, Robin Lane does not own the rights to her own songs. Maybe there are a few things Lane wishes she had done differently. But she wouldn’t trade the work she does today for her rock dreams of yesteryear.